I have just come upon an old file of photographs that I doubt ever made it into my blogs. Here are a couple that illustrate how interesting is the capital city of Hungary! 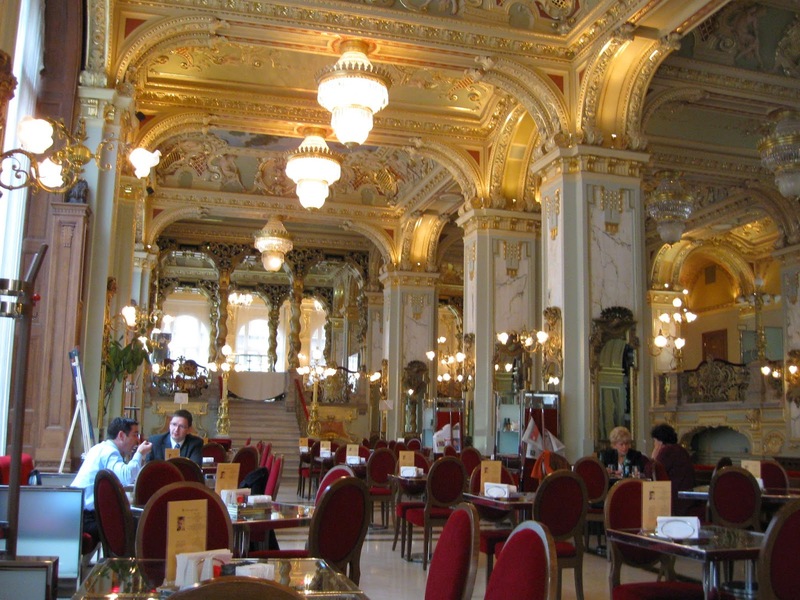 On my first trip from Fellbach to Romania, in 2008, after sleeping at a roadside hotel in Tatabanya, I had breakfast at Budapest's Hotel New York. It was here that I garnered encouragement from a young waitress with perfect English. I did not know what I would find in Cluj, but when I told her that was my destination, she immediately smiled, and said, "Oh! I love Transilvania!" 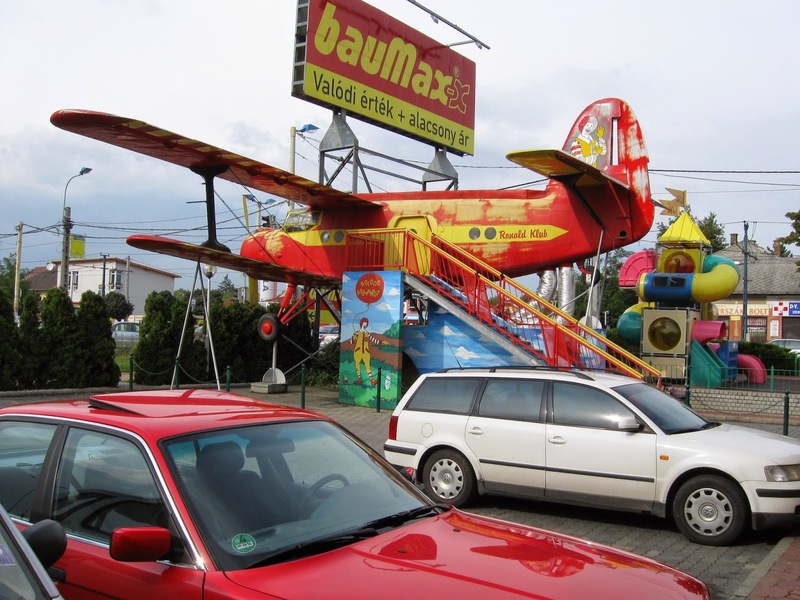 As I drove Klaus (the lower one here, in red) out from downtown Budapest toward the direct road to Oradea, where I would enter Romania that evening, I had my lunch at this less elegant restaurant. But what a Playplace it had!